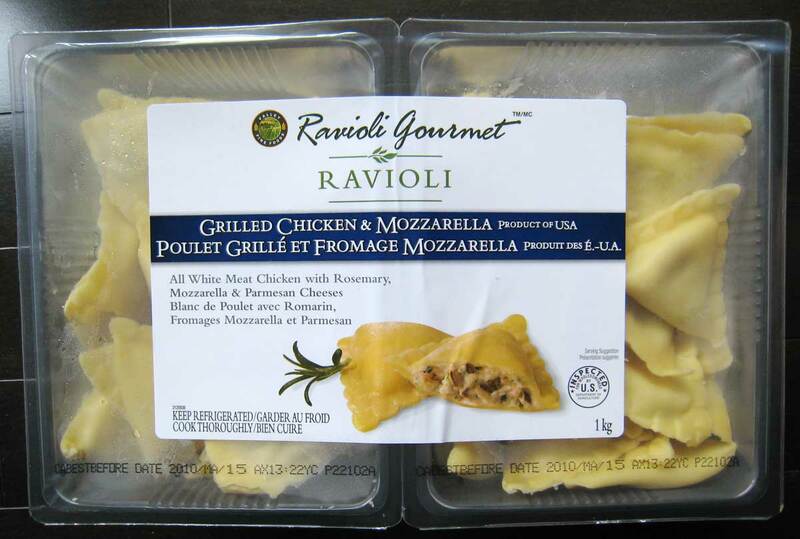 Been getting tired of “emergency food” frozen pizza and found this pasta at Costco by Valley Fine Foods – Ravioli Gourmet for about $8. 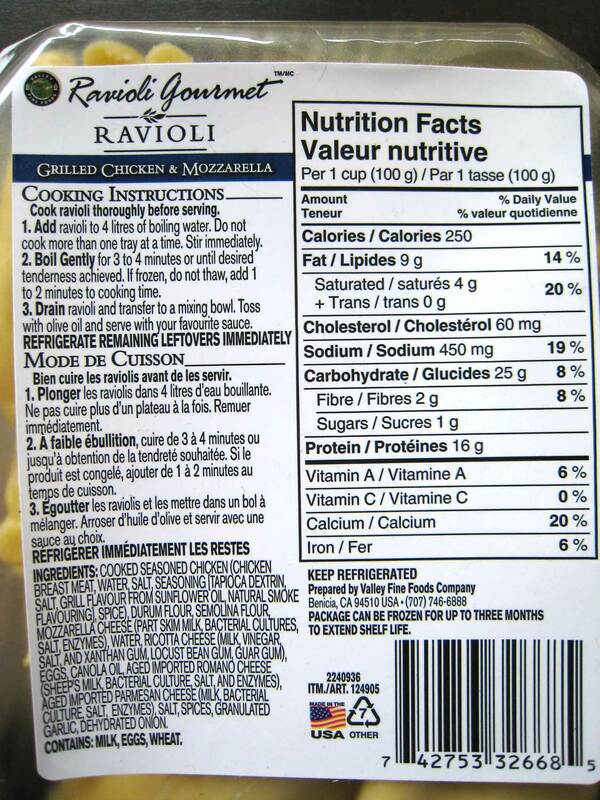 It cooks super quick because it’s fresh pasta but can be frozen if I can’t eat before suggested date. I’ve also found the perfect solution to hubby’s problems with pasta (tomato sauce gives him cankors and cream or pesto based ones make him nauseous) – I just roast bell peppers, remove seeds and puree, then toss with pasta. Easy and sweet! Oooh this pasta looks good. I will try next time I’m at Costco. And great idea on the roasted red pepper sauce. Sounds delish! We tried this past last night and it was very good. Only it’s hard to cook fresh pasta “al dente” (tend to be over cooked) I saute red pepper and zucchini with olive oil and garlic. Seasoned with salt, pepper and sprinkle of palmesan cheese. Buon Appetito ! !